When you vote, do you look at that long list of judges on the ballot and scratch your head and realize you don’t know anything about any of them? Who do you vote for? Who is most qualified? Who would be fair and honest? Who would treat you with respect and dignity if you were in front of him or her? Who has the most experience? What conflicts of interests does he or she present? Well, unfortunately for the public, choosing the right lawyer when estate planning can be just as confusing. Yet, the quality of your Estate Plan will be dictated by the knowledge and life experiences of that lawyer. Over the years, I too have been faced with legal matters where I have had the need to hire legal counsel. The purpose of this article is to help you understand the qualities, traits, and life experiences that you should consider before you hire that lawyer. 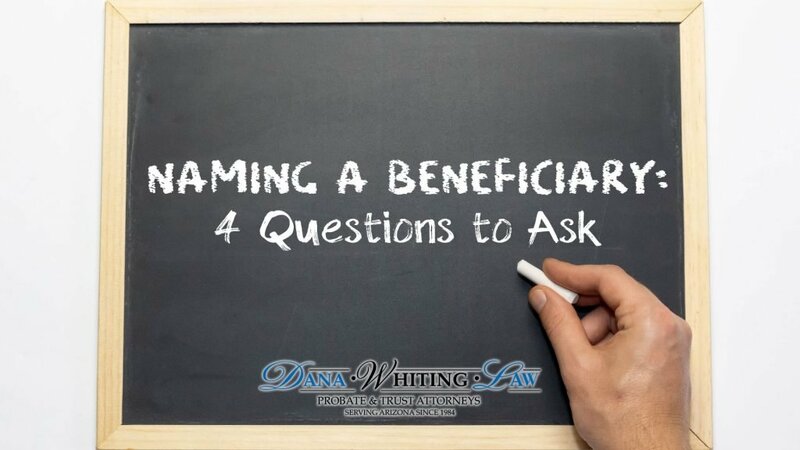 Let’s first take a look at the manner in which you should conduct your search for the Estate Planning Lawyer. First, and probably still the most common way to find a skilled lawyer, is to ask someone else. Ask a friend who is in your similar life circumstances. Similar family, similar net worth, etc. Who have they used? Were they happy? Were the fees reasonable? Would you use him or her again? Also, you could ask some of your other professional advisors for their recommendations. Your CPA, your Financial Planner, your Banker, etc. 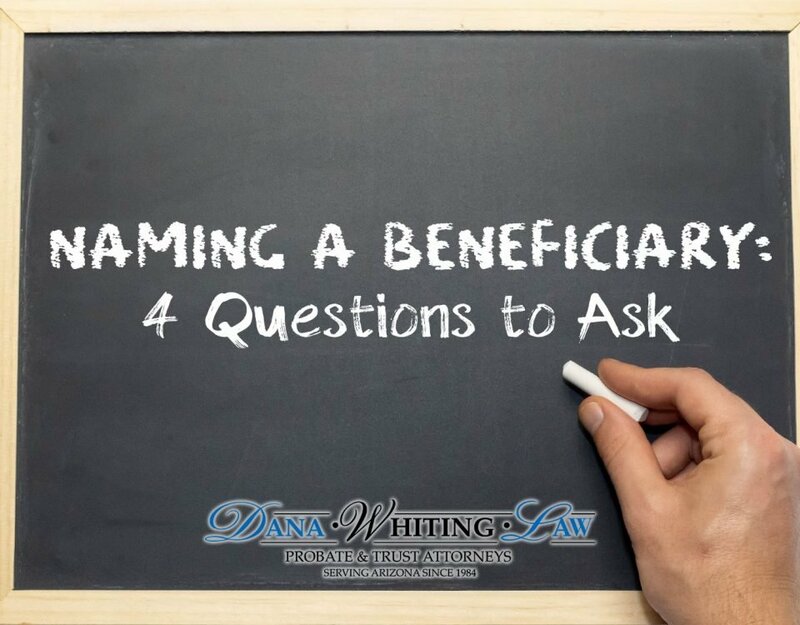 You want to ask someone who has similar needs as you because Estate Planning lawyers come with varying backgrounds and experience. When I was a younger lawyer, my views were different on many issues. Issues such as age restrictions on the kids, who should be the successor trustee, etc. In this early practice, I tended to rely heavily on referrals from banks and other institutions. As such, the documents I drafted tended to include provisions requested by the banks and institutions. It takes time to “climb the estate planning ladder”, meaning that most of the clients you have when you are a younger lawyer tend to be younger families. Your referrals tend to come from younger advisers. Your practice is more basic. As you age and get more experience with your own children and with more clients who are older, your practice tends to change. Now, rather than relying on referrals from other advisers most of your legal work is referred by existing clients. Life experiences have changed your thoughts and beliefs on many estate planning issues. Your clients tend to be older, and the issues become more complex. Your practice becomes more sophisticated as your clients bring more challenges and problems to the table. Once you get a recommendation from a friend, neighbor or professional advisor, do some due diligence on the person. Go to their website. Take a look at their life experiences and background. Look at their age. Are they married? Do they have children? How about grandchildren? Look at the schools they have attended. Look at the law firms where they have worked. Working at a large law firm does not make you a better lawyer. But, generally, large firms only hire the best of the best coming out of a law class. Get a feel for their personality. Look at the professional associations they belong to. What other degrees or professional designations do they have and bring to the table? Do they have strong family ties and values? What charitable organizations do they support and belong to? Community involvement? Maybe church involvement? Look at their reviews from other clients. You can see what hobbies they have. Isn’t it interesting that a person’s choice of a dog is one that tends to look like them? I think picking a lawyer is the same thing. You should pick someone who is similar to you. Look at where their offices are located. The type of office they have will speak volumes. Although I speak in generalities, a successful lawyer will have a successful practice at a nice office in a nice location. The office décor will also speak of the lawyer and their background. Does it feel comfortable or does it look cold and distant? To me, the look of a law office is much like the look of the living room of a friend or neighbor. There are living rooms that don’t look like you can do much “living”. There are also law offices that look more like a magazine cover that you are paying for. Do you want a big firm, medium firm or a small firm? There are pros and cons to all of these choices. I have been blessed to have worked in a large firm, medium firm and now a small law firm. In my experience, I believe that big firms are not really suited for an Estate Planning practice. Their fees tend to be at least $100 per hour, or higher (I speak from my experiences with my hourly rates at a big firm). And, in my opinion, they don’t really understand Estate Planning. I always felt like the punter on a football team. Am I really a “football player”? Most of the Estate Planning done in the Phoenix Metro area, and around the country for that matter, is done by small boutique Estate Planning Law Firms. Firms that limit their entire practice only to Estate Planning and some areas closely associated with Estate Planning, like Business Succession Planning, Asset Protection, some entity formation, etc. Look at their hourly rates published on their website. Look for something that tends to be on the upper end of the middle of the road. Too high of an hourly rate is probably indicative of a larger firm that has more overhead to support. Too low of an hourly rate means that the lawyer doesn’t have the volume of clients needed to support the practice and tends to look for the clients that he can get in and out of the office more like a “Trust Mill”. My experience with hourly rates dealing with other lawyers I have hired has caused me to believe in the saying “you get what you pay for”. Don’t let the hourly rate alone scare you off. I am always shocked when some of the unsophisticated clients are more interested in working with the junior lawyer that has an hourly rate of say $325 an hour versus a more seasoned lawyer at say $475 an hour. The more experienced lawyer will have more experience in seeing issues and coming up with solutions that the younger lawyer will never even consider or address. Furthermore, the more seasoned lawyer can probably review an existing trust in perhaps half the time that a younger lawyer will take. The more seasoned lawyer will also have more experience in dealing with delicate family situations and issues. You don’t necessarily end up with a lower cost Plan and you may end up with a Plan that doesn’t properly address all of the legal issues. Finding a good Estate Planning lawyer is like finding a good hunting dog. Look for a firm that lets the younger dogs run with the older dogs for a long while before they allow them to hunt. What about their support staff? Too small is too small. A firm with just one or two attorneys and only one or two legal assistants will be backlogged if they are any good. I know of a few really good lawyers that were too cheap to surround themselves with good people and staff. They were more interested in profit margins than with service for their clients. They will be unresponsive when you call, and they will have a difficult time getting your project done timely. Once again, I speak from my own personal experiences. When I tried to downsize, I didn’t want to neglect my clients, but it was very difficult to take care of all of them and all of their needs in a timely fashion. Now, having been in the practice for over 34 years, the ups and downs of an Estate Planning practice have smoothed out because of such a large book of business. This means that I have a steady stream of work, regardless of the economy. I have always been a believer in surrounding myself with extremely talented people who will make me look good. How long has the Estate Planning Team been together? How much experience does each of them individually have? In my practice, most of my people have been with me 10 years or more. Some of them were with me when I went to work for a national law firm and followed me there. And they are still with me now that I am back running my own ship. The biggest challenge I face in the practice of Estate Planning is keeping the quality people that I have together. Now that I am in my early 60s I find that my clients take comfort in the fact that I have a partner in Trevor Whiting, who is in his early 40s. They know that we have a Business Succession Plan. They know Trevor. He works with me on most of my cases. The transition of the practice from me to him will be seamless. Both Trevor Whiting and Donnie Coats have been with me for over 10 years—“Both of those dogs can hunt”. My legal assistant, Terri Deemer, has been with me for nearly 10 years. Also, my daughter, Kyndall Yates has been with me since she was 16, and now she is married with four children. You should also find out whether or not the first consultation is free or not. I personally don’t believe that a prospective client should have to pay a fee in interviewing the lawyer and have a consultation with them to see if that lawyer is a good fit. There are cases in my practice when I can tell from my side of the table that I am not a good fit for that particular client. As such, our practice is to never charge for the first meeting. Now, that doesn’t mean you get free legal advice. The first meeting is for both us to size up each other and see if we are a good fit. It is a time to generally discuss the issues that need to be addressed and perhaps a fair estimate of what it would take to address those legal issues. If we both want to proceed with the engagement, then we will set another meeting that will be on the clock where we will look at the client’s’ situation and give specific advice. Once we agree on a particular Estate Plan, then we can quote a flat fee for implementing that Estate Plan. So, no charge for the introductory meeting, followed by hourly rate charges for the educational and design session(s). Then, and only then is a flat fee quoted for the drafting and implementation of the Plan. In most instances, the clients will prefer this approach. When they are finished, not only will they have a quality Estate Plan, but they will actually totally understand their Plan. And during the process, they will see alternative Plans that could be considered. In the end, a client never wants to hire someone who is too expensive and the lawyer doesn’t want to work with a client who is too cheap. Lastly, you should never be afraid to ask the lawyer for references. And find out some background information about each reference. Make sure that the reference is in about the same situation as yours, age-wise, net worth wise, etc. Having a powerful reference from a client who needed and was happy in driving a Volkswagen Beetle is not a good reference for a client that needs and wants to drive a Porsche. One of my most rewarding experiences in practicing law and working with clients is the experiences I am having with some of my clients who have been with me and trusted me for over 25 years, and to now be able to work with their children, the 2nd generation to the Estate Plan. When you get to the point where a client says to you, “I don’t necessarily understand the complexity of some of the strategies that you are recommending but I trust you enough to embrace the strategy”, now you have a satisfaction in the practice that you can’t obtain over a short period of time. This type of relationship takes years to develop. This relationship is more than an attorney/client relationship. It is a true friendship. The greatest satisfaction I receive from some of my clients is when they introduce me to their friends and the introduction goes something like this: “This is Matt Dana, he is my friend and my attorney”.